Click here for 2018 tickets! Karl Strauss Brewing Company is proud to bring you Collabapalooza, an indie beer collaboration celebration featuring 30+ independent San Diego breweries pouring a unique selection of one-off collaboration beers and rare releases. 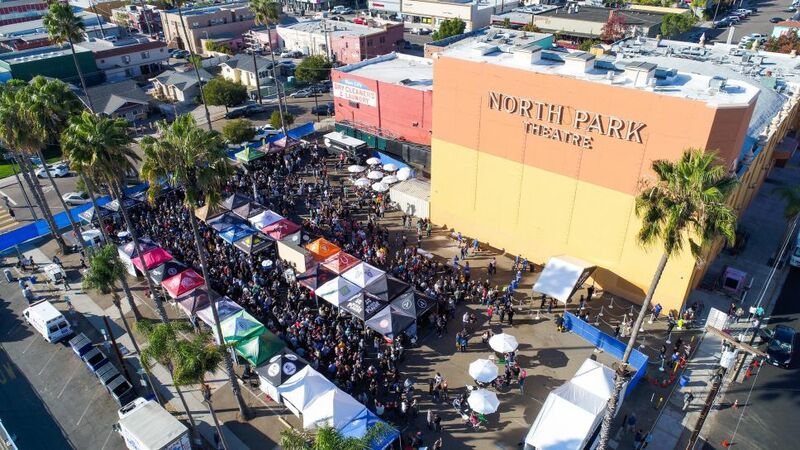 Our goal is simple: Rally 30+ independent, San Diego-based breweries to help us throw a killer party during our favorite week of the year complete with tons of good food, excellent vibes, and all together fabulous people. We'll be taking over the parking lot behind the North Park Observatory in the beating heart of San Diego's craft beer scene. In addition to unlimited pours of these one-off collaborations and rare releases we'll have food from local vendors available for purchase, live screen printed t-shirts, and a ton more to be announced in the coming weeks. Proceeds from the event will directly benefit both the San Diego Brewers Guild and the North Park Main Street Association.